Use these basic flowmeters for common metering tasks with engine oils, antifreeze, and transmission fluid. 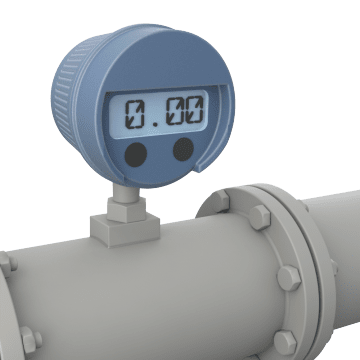 These devices are positive displacement meters with oval gear rotors, so that they can meter fluids that may change viscosity with temperature. The flow is measured by counting the revolutions of the two oval gears that are turned as the fluid moves through these device and displayed on a screen for easy reading.